According to the Wrestling Observer Newsletter (subscription required), the roster of Ring of Honor is seeing a shake-up. While Hangman Page may have declined to agree to a WWE deal yet, it doesn’t look like he’ll be re-signing with Ring of Honor either. After receiving an offer from the company, the promising talent turned down the new contract. His future remains up in the air, and it remains to be seen where he winds up. Page currently wrestles for New Japan Pro-Wrestling on a limited basis. 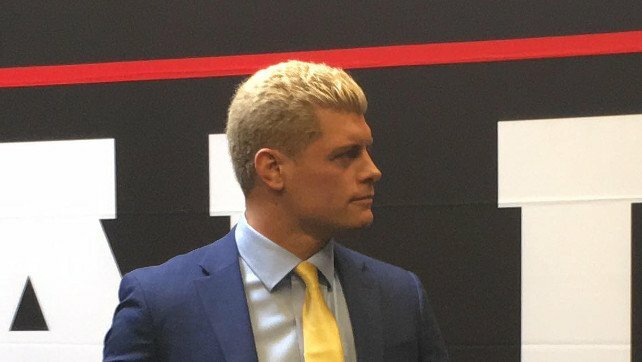 Meanwhile, Cody Rhodes is no longer contracted for the company. He had alluded to finishing up his dates with the company recently, but now it’s known that he’s a free agent. Rhodes will be working with Ring of Honor through their Final Battle pay-per-view, though. So, don’t expect to see him away from the company just yet. As far as the rest of “The Elite,” both of The Young Bucks haven’t signed any new deals. They are currently under contract until the end of the year. The other key factor in the interesting free agency scenario is Kenny Omega, who will finish his NJPW deal at the end of January. It remains to be seen where all of the wrestlers wind up.